Your patients are online, along with almost 280 million other people in the United States and 74% of those people participate in social media. This means two things. First, your patients will more than likely hear about your practice online before they meet you. Second, they will be soliciting opinions about your practice with others in their social media circles. 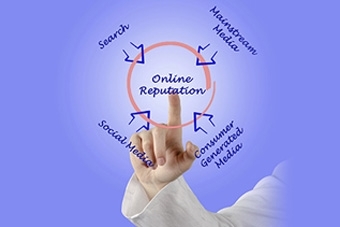 If social media is part of your practice marketing efforts, terrific. But keep in mind, it’s not only about having a Facebook page or the number of ‘likes’ or followers. It’s about the experience a patient has from the first time they hear your name until well after their treatment is complete. It’s their experience, good or bad, that will influence their opinion of your practice. And it’s that opinion that will likely be shared on social media. Unfortunately you can’t control everything that’s said on social media, but the good news is that you can influence their opinions. Create a robust website which includes not only your experience, your specialty and your address, but also detailed patient information for the treatments you provide. People love visuals, so include educational videos and animations which are an important element to ensure patient understanding. Convenience – Offer the ability to make appointments on your website and download patient forms. Include a patient portal to communicate with patients privately. This is a convenient way to patients can get their questions answered without several days of phone tag. Courtesy – Ensure your staff is courteous and helpful. This is so important as they are often the first impression of your practice. Care – Follow up with your patients following their procedure – a quick phone call or email is all it takes and it does wonders to make them feel important. Encourage patients to post their reviews on your website right while they are still in your office using their mobile phones. Include a link to the review site with a request to leave a positive review in your follow-up survey.